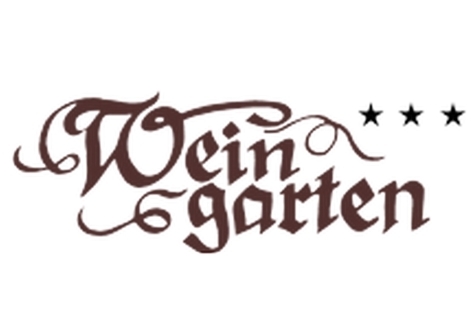 Welcome to Guest House Weingarten*** in Lana! 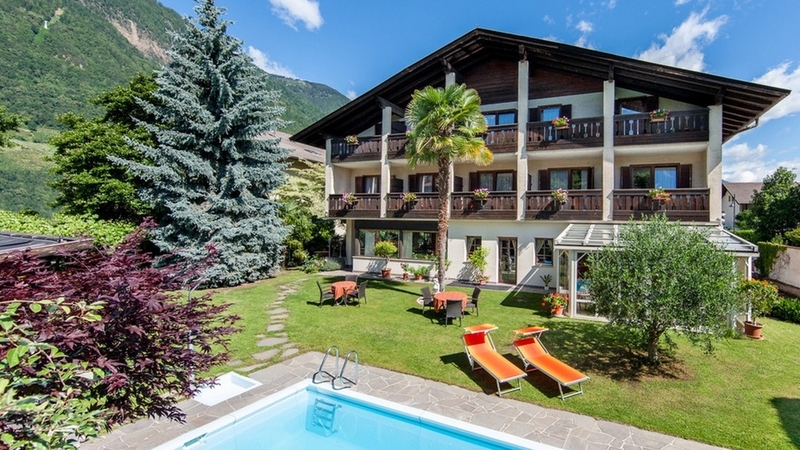 Embedded in the wonderful orchards of Lana and the surroundings of Meran the guest house Weingarten gives you the possibility to spend holidays in sign of relax and silence. Our house is the best starting place for many outside activities in the untouched nature. The cozy arbour in our garden donates you shadow on hot summer days, the heated swimming pool invites you to splash and on the lawn for sunbathing you can relax. On the sun terrace our guests meet to drink coffee and to eat homemade cakes. Our kitchen is waiting for you to spoil you with typical and Mediterranean dishes. The guest house Weingarten offers its guest comfortable and light floated rooms and apartments. All our rooms dispose of balcony, shower/WC, telephone, hair dryer, safe, and TV. In the apartments you will find to that coffee machine, bed linen and towels. All rooms at Hotel Weingarten are bright and have their own garden or balcony. All rooms have a mountain view. The apartment (43m² for 2-4 persons) is bright and inviting. Our apartements are equipped with: - shower, - WC, - balcony or garden, - newly renovated bathroom, - free WLAN, - safe, - direct dial phone, - satellite TV, - dishes & dishwasher, - coffemachine, - fridge, - bedclothes, - hand and bath towels. The apartment (29m² for 2-3 persons) is bright and inviting. Our apartements are equipped with: - shower, - WC, - balcony or garden, - newly renovated bathroom, - free WLAN, - safe, - direct dial phone, - satellite TV, - dishes & dishwasher, - coffemachine, - fridge, - bedclothes, - hand and bath towels.